The Why: They’re inexpensive, easy to purchase, soft and easy to chew. They ripen after being picked, and they’re packed with nutrients. The best part is — they taste fantastic. They’re sweet as candy, and they come in their own wrapper. Bananas contain folate, vitamins C and A, and magnesium. They help reduce stress levels and increase serotonin levels. Health Perks: Bananas are loaded with potassium (422 milligrams), which is necessary for muscle contractions (including your heartbeat), transmission of nerve impulses and the delicate balance of fluid and electrolyte regulation. Diets rich in potassium blunt the adverse effects of salt, and they lower blood pressure (one in five Americans have high blood pressure). Plus, they may reduce the risk of developing kidney stones and help to decrease bone loss. 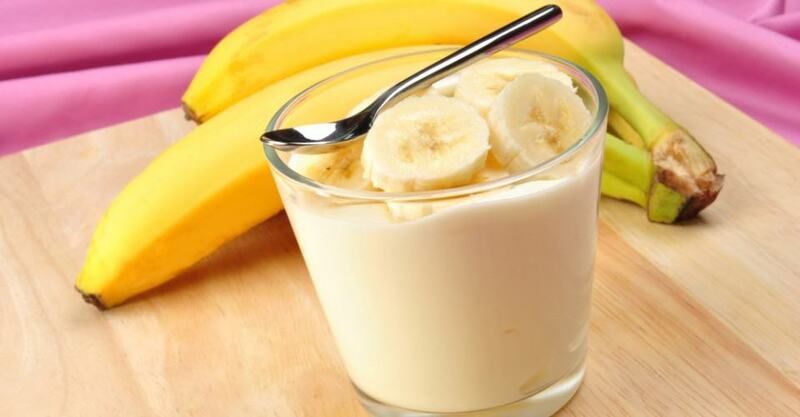 In terms of stress relief, the potassium helps to relax muscles. There is a basic balancing act that goes on in the body between sodium and potassium. The sodium creates muscle contraction and the potassium relaxes muscle, so together they help transport nutrients to the cells. Additionally, bananas contain tryptophan, a protein that converts to the neurotransmitter serotonin, which helps the body relax and enhances your mood. Bananas are also high in vitamin B6, which, according to research reported in the Journal of the International Society of Sports Nutrition, helps facilitate the synthesis of serotonin from tryptophan. One medium banana provides 422 mg of the 4,700 mg per day that the Institute of Medicine recommends as an adequate intake of potassium for adults. More than 90 percent of Americans are not meeting this recommendation. Nutritional Information: (1 medium) 105 calories; 0.39 g fat; 27 g carbs; 3 g fiber; 1.29 g protein. The Why: It’s packed with lean protein (nearly 30 percent of the recommended Daily Value), a strong, sustainable energy source known to help keep you fuller longer. In fact, a recent study published in the British Journal of Nutrition found that eating protein in the morning affects feelings of fullness throughout the day. Additionally, yogurt has nearly 25 percent to 40 percent of your recommended Daily Value for calcium, which helps build strong bones. Research appearing in the Journal of the American College of Nutrition found that those who eat a breakfast including calcium are more likely to meet their necessary recommended daily calcium needs. About 1,000 to 1,200 mg of calcium are needed per day; however, the majority of women are not meeting these recommended goals. Finally, for those who are lactose intolerant, yogurt provides a double benefit: It has probiotic cultures that help digest lactose, and it has less than 50 percent the amount of lactose in milk. Health Perks: There are many reasons why yogurt has gained a reputation for being a healthy food. It improves digestion, prevents intestinal infection, and reinforces your immune function. It’s packed with vitamins and minerals, such as calcium, potassium, riboflavin, magnesium, and phosphate, and it’s low in fat. Eating yogurt has been linked to lower blood pressure, a reduction in premenstrual syndrome symptoms, lower cholesterol, and a reduction in certain kidney stones. All yogurts are made with a starter culture (Lactobacillus bulgaricus and Streptococcus thermophilus) that aids digestion and has other health benefits such as improved immune function. However, not all yogurts are created equal. For instance, some frozen yogurts are heat-treated, which destroys the cultures. If you choose yogurt because of its added probiotics, be sure to call the manufacturer to ascertain the type and amount in the product. Or look for the National Yogurt Association’s Live and Active Cultures seal. This seal guarantees a minimum of 100 million cultures at the time of manufacture. Most research on probiotic cultures uses more than 5 billion. Additionally, yogurt offers important B vitamins such as riboflavin (34 percent of Daily Value) for metabolism, red blood cells, and a strong immune system; vitamin B-12 (25 percent of Daily Value), known as an energy booster; and pantothenic acid (16 percent of Daily Value), which helps with thinking and memory. Yogurt also has phosphorus (38 percent of Daily Value), which works with calcium for bone health, and potassium (18 percent of Daily Value), an important nutrient that helps to regulate blood pressure and that we don’t get enough of. Last of all, yogurt has zinc (about 16 percent of Daily Value), which aids the immune system. All that said, however, you shouldn’t ignore the fact that many yogurts still contain added sugar. So eating too much of it may negate any potential benefits by increasing the health risk of being overweight. Also, keep an eye on yogurt-covered snacks: Some varieties are more like candies in disguise. One cup of yogurt-covered raisins contains 750 calories, and 1 cup of yogurt-covered pretzels has 391 calories without any of the probiotic benefits. And these other types of yogurt might not contain live and active cultures either: yogurt-covered candy and some yogurt-containing spreads and salad dressings. Stick with the low-fat or no-fat yogurts, and try to find a brand with no added sugar. Or try plain fat-free Greek yogurt — it has about 80 calories in about 5.3 ounces (Stonyfield Farm Organic Oikos Greek Yogurt, Plain) and contains just a handful of natural ingredients. Although Greek yogurt is a bit of an acquired taste if you are used to eating artificially flavored yogurt, adding sliced banana or strawberries will make it very tasty. Just one 5.3-ounce serving has a whopping 15 grams of protein. One cup has 23 grams. Nutritional Information: (Yogurt, plain, skim milk, 1 cup) 137 calories; 0.44 g fat; 18.82 g carbs; 14.04 g protein.